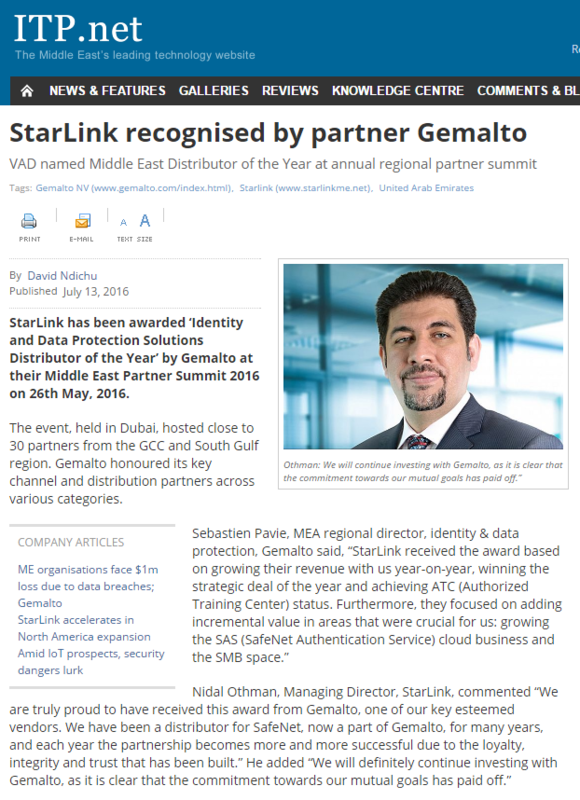 Tuesday, July 12th, 2016 - Dubai, UAE - StarLink, the region's trusted security-specialized "True" Value-Added-Distributor (VAD), was awarded ‘Identity and Data Protection Solutions Distributor of the Year’ by Gemalto, the world leader in digital security at their Middle East Partner Summit 2016 on 26th May, 2016. The exclusive event held at the Conrad Hotel in Dubai hosted close to 30 partners from the GCC and South Gulf region. 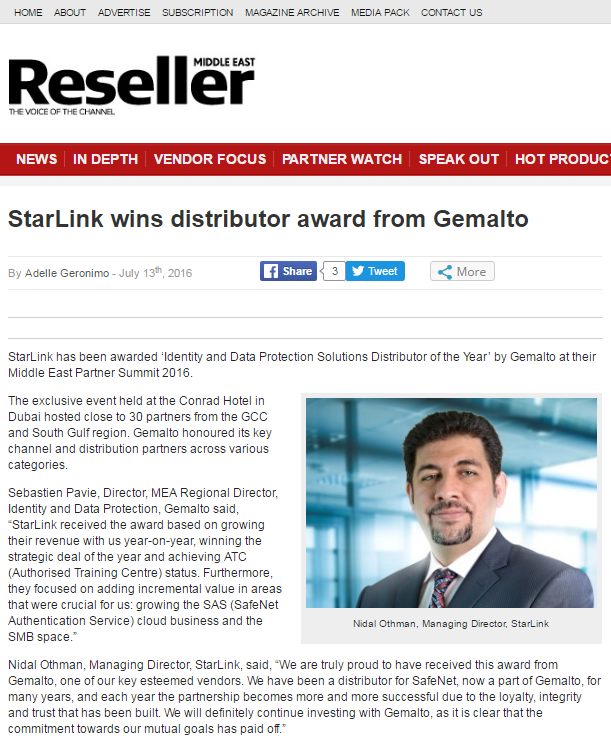 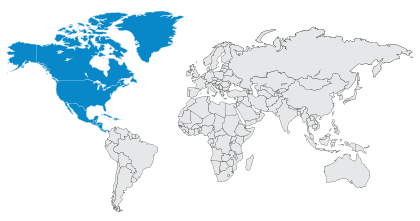 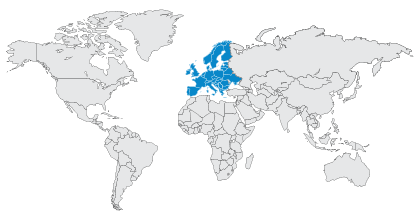 Gemalto honored its key channel and distribution partners across various categories.